Almost every manufacturing company manages a modern supply chain across continents and time zones. This complex process can be managed with a single application - NetSuite's supply chain management capabilities are founded on the principle that regardless of where a product is physically built, the decision-making process should not be impacted. With the latest release, the updates to the supply chain management function are aimed at saving time and ensuring compliance with automated in-transit payment processing. This process update ensures payment statuses are tracked effectively, accounts payables are automatically updated on receipt and payments are reconciled with bank statements. Several countries require that the status of inbound payments be recorded. Without this feature companies operating in those countries had to manually track the status of the receipt of bank deposit and manually manage their accounts. 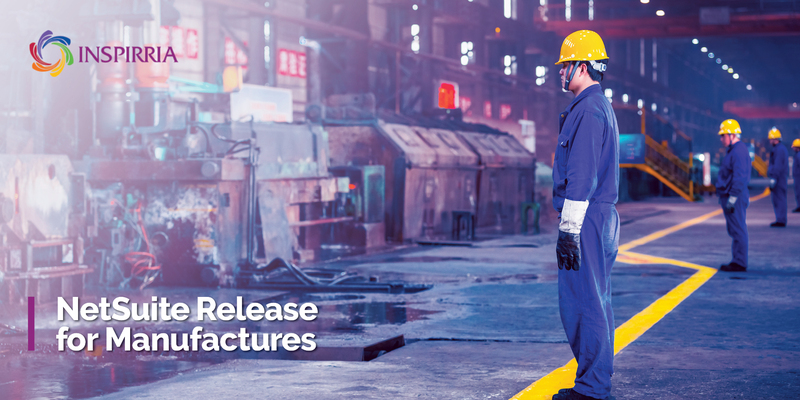 The NetSuite 2018.2 Release also helps deliver optimal quality during manufacturing operations by testing throughout production. Companies can now define test specifications and pass/fail criteria and real-time results are captured through the tablet interface. NetSuite allows quick and easy definition of these tests, and easy setting of parameters and simplified operations for receiving and in-process testing. The quality tablet application allows the inspector to capture not only actual test results but augment those by capturing a photograph using the tablet’s camera. NetSuite will collect the results and use workflows for dispositioning as per company policy. NetSuite’s manufacturing solution provides real-time visibility into every step of the production process and localization of advanced manufacturing is a new add-on capability. The advanced manufacturing functionality is now localized and available in all languages supported by NetSuite. The translation includes all menus, records, forms, searches and interfaces. The next feature on the list, is new effective date pricing which helps maximize profit by ensuring customers are always charged the right price at the right time. Effective date pricing allows users to put in place future price changes that automatically take effect based on start and end criteria. Organizations gain better control of effective dated pricing and pricing updates become a lot less complex. This also effectively streamlines the process of establishing temporary or permanent price changes. It’s also important to mention the automatic item substitution feature that has been introduced. The feature implies that it has become easier to render customer service when there is a stock shortage. Compatible alternate items are established, and the substitute item can be selected and replaced at the appropriate place in a sales order.